One of my favorite things in the entire world is wrapping gifts. I LOVE, LOVE, LOVE it. When I was a kid, my favorite time of year was waking up on Christmas and seeing all those wonderful, beautifully wrapped gifts under our fake Christmas tree. Growing up with 4 kids (my sister, my 2 cousins, and myself) made seeing the gifts stacked high enough to touch the bottom of tree the best morning ever (at least until Christmas Day the following year). This fond memory and my perfectionism has helped to solidify my goal to “perfectly” wrap as many gift as I possibly can whether they are gifts that I am giving or gifts that someone has asked me to wrap. 3 – Repeat wrap, but change it up with a different style of bow or a different box size. The single bow and double bow are as easy as the loops made to tie shoes. My ribbons of choice to use for this type of bow are tulle and wired ribbon; no matter how much they are smash, they can always be reshape by simply inserting to fingers in the loops and spreading them in a V.
This wrap did not come from a roll; it was an individual sheet of paper purchased at the shopSCAD design school shop in Savannah, GA. 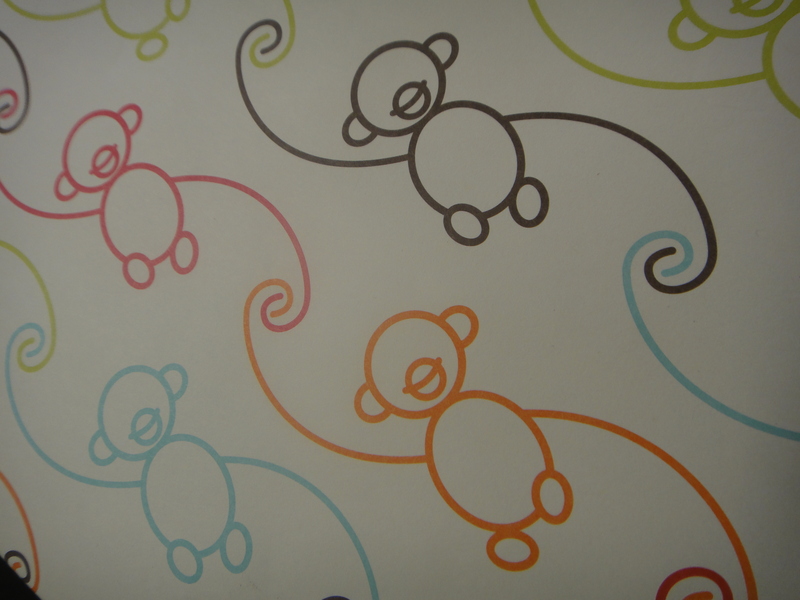 Individual paper sheets can also be found at Paper Source, A.I. Friedman, Lee’s Art Shop and at other local art supplies and specialty paper stores. 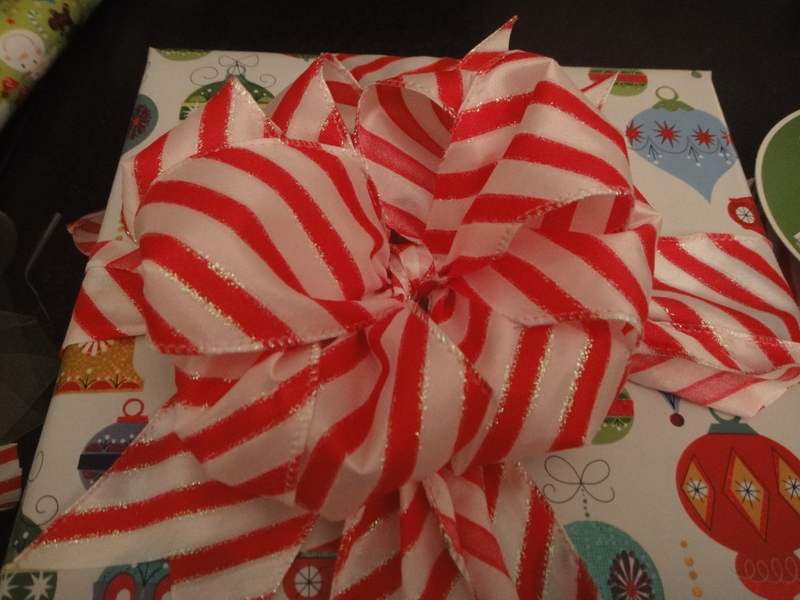 To conserve ribbon, consider stacking like shaped boxes and wrap them in paper that compliments the color of ribbon you’re going to use to bundle the gifts. All of the wraps used in this bundle had accents of green, which made using this lime green tulle ribbon the perfect complement. 8 – Tissue paper and other materials can be used to wrap items that are not placed in a box or items that will be placed in a gift bad. 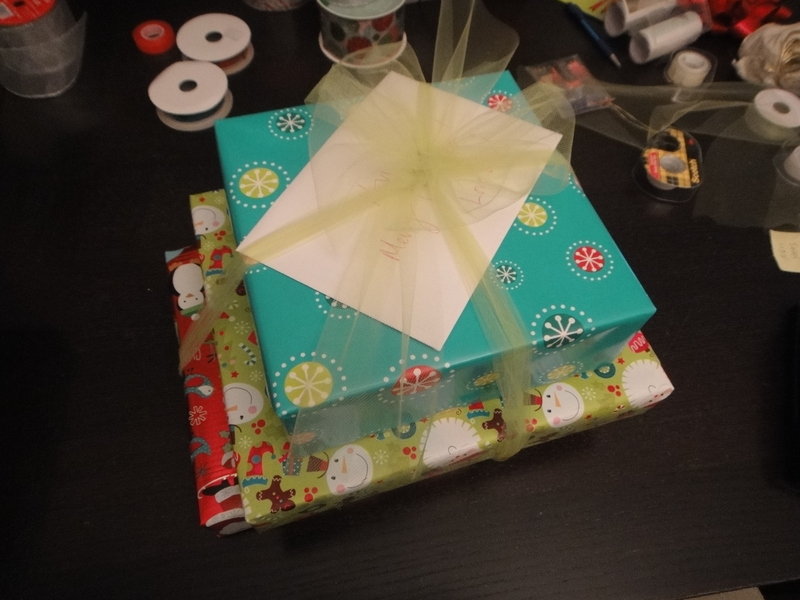 I hope that this post will inspire you to be creative in your gift wrapping in the future. 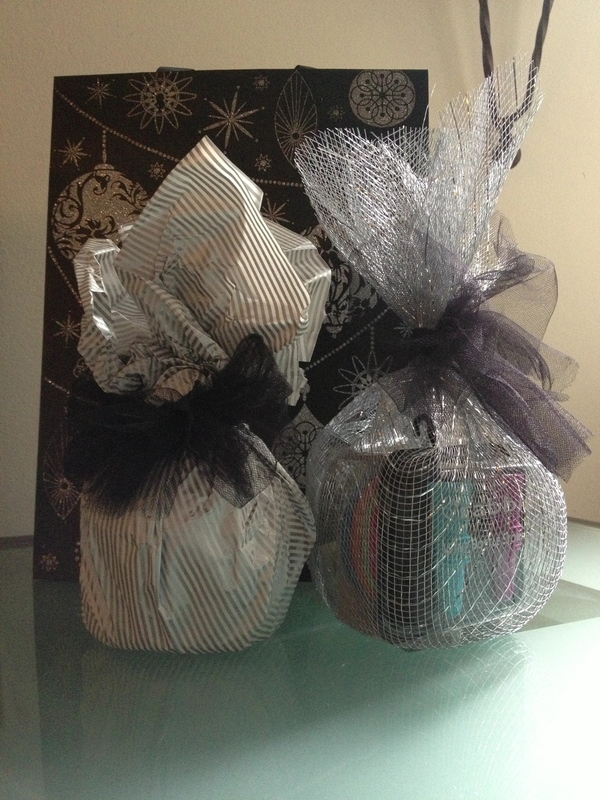 And if all else fails, call on me if you are in the New York City area; I would LOVE to wrap your gifts. Next Post Get in my Belly!